Borders and Murals that are Truly One of a Kind! 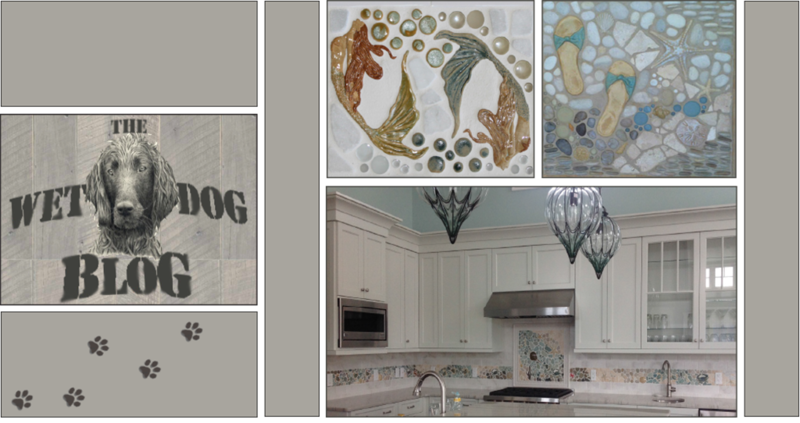 As most of you know, we offer an assortment of pre-designed murals for ease of ordering, but what we really love doing is creating unique one-of-a-kind designs. What can make these even more special is when our customers supply pieces to go into their design. Check out some examples below, and try to spot the hidden accents! We recently worked on a mural that had multiple smaller Petoskey stones that were mailed in by the customer for our artists to add in. 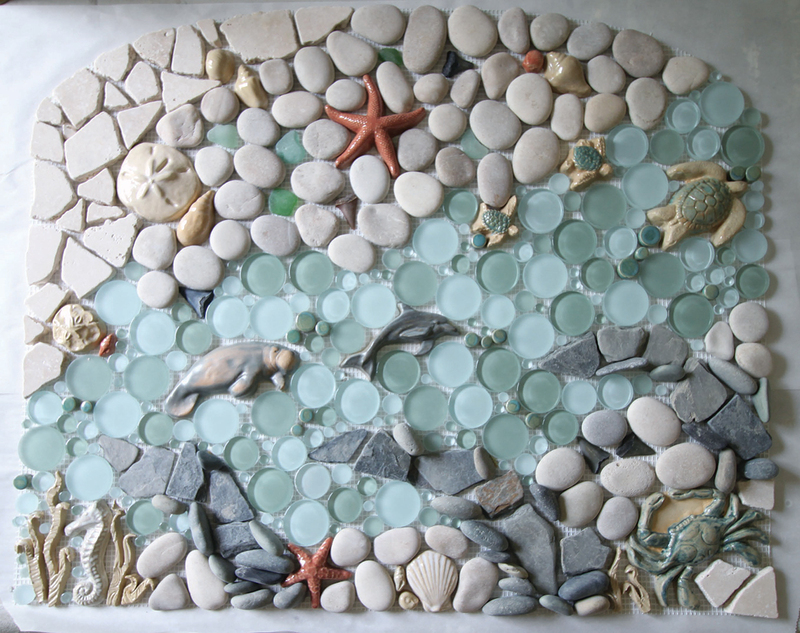 A bit different from Petoskey stones - in this custom mural the customer supplied sea glass and sharks teeth! Here's the installation photo of the custom mural with sea glass and sharks teeth. 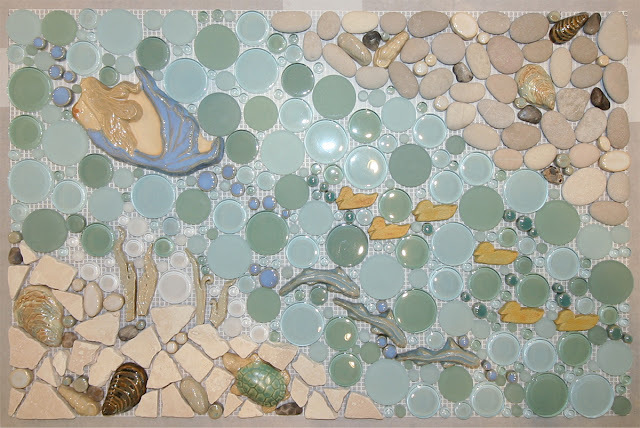 We are always happy to incorporate customer-supplied pieces into our murals and borders - it definitely makes them one-of-a-kind!